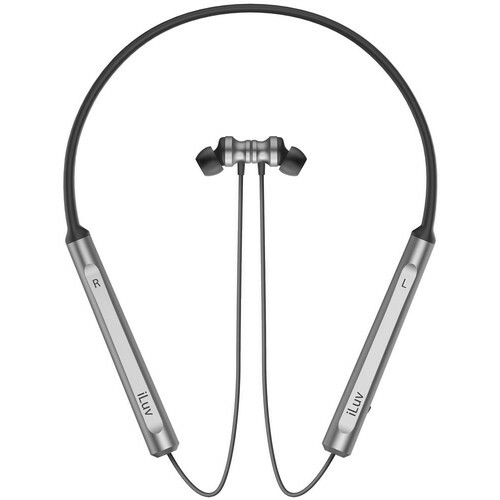 Enjoy your favorite audio while you exercise with the Metal Forge Neck Air Wireless In-Ear Headphones from iLuv. This set of headphones are conveniently worn around your neck, and feature Bluetooth technology for a wireless, hands-free experience. Transmit audio from a mobile device from up to 33' away. The in-ear design is coupled with angled ear tips to help provide a comfortable, noise-isolating experience. An IPX4 rating provides protection from the elements, and a built-in microphone gives you the ability to listen to music and take calls when needed. Hands-free calling and music playback can be managed with both the built-in neckband controls, or via your Android or iPhone's voice assistant. When not in use, keep your earbuds from flying around and tangling with built-in magnets. A magnet is built into the back of each earbud, allowing you to secure them together around your neck. Designed for an active lifestyle, the Metal Forge headphones are IPX4 rated to be both splash and sweatproof. The Metal Forge wireless headphones are powered by a built-in 120mAh battery that provides up to 6 hours of music play time, and up to 80 hours of standby time when not in use. 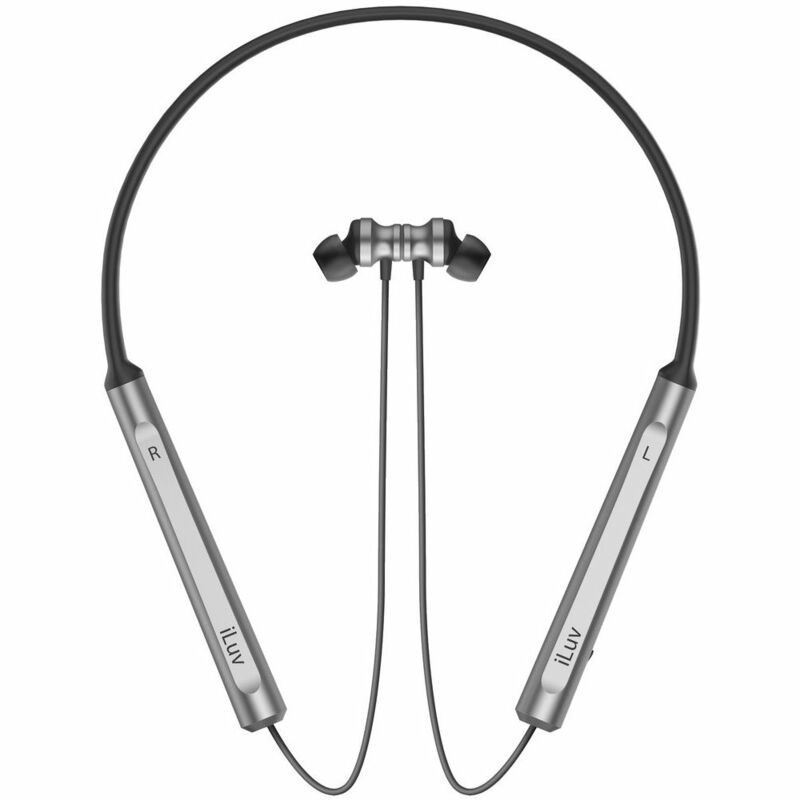 Box Dimensions (LxWxH) 8.0 x 7.0 x 2.0"
Will these earbuds work with Android cell phones? Yes they would. It works with both Android and IOS.